The book that will change the World. The Caveman Principles is one of the most celebrated books in the realms of daily stress management! 5 Star Amazon reviews and constant positive reviews have proven the theories and are helping people change their lives and their worlds. Because of the success of the book, a new and more helpful website has been commissioned to deliver The Caveman Principles to more and more people. 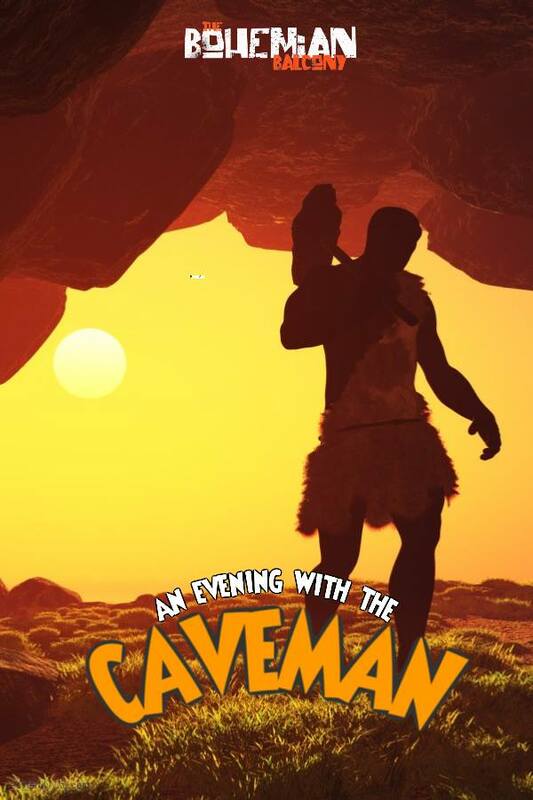 But the most exciting news is that The Caveman is delivering a brand new live show! The show is currently only a “one-off” and being hosted by the great Dan Rivers of The Bohemian Balcony, Jennings Street, Swindon. On the 8th March 2017 at 7.30pm with show is for everyone who is, going to or knows someone who suffers from daily stress. Tickets are now on sale and there is already a lot of interest. The Bohemian Balcony is Swindon’s newest and most unique arts venue, that is quirky and perfect for The Caveman, who does everything a little differently! So that you know, the new Caveman speaker reel is going to be recorded on the same night and if you are lucky enough to get a ticket, (you might have to comb your hair and put on your swanky garb) you may be part of the promotional video! “Coming to the Bohemian Balcony this March is Swindon’s very own Caveman. Carl is the amazing author of The Caveman Principles, which since publishing has been growing in popularity with 5 star reviews and making a difference to how we manage and understand our dealings with stress, change and relationships. We now welcome him to the balcony for a very motivational evening. His view of today’s modern living leaves his listeners thinking of stress in a completely different light. The Caveman makes you understand relationships better that you ever have and he will give you his Caveman change blueprint to create mammoth success in your own life. This fun and very engaging evening will leave you in no doubt that ‘we’ need to change our world, to make it a better and more supportive place to live.